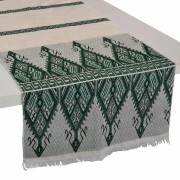 A one-of-a-kind dining table runner. 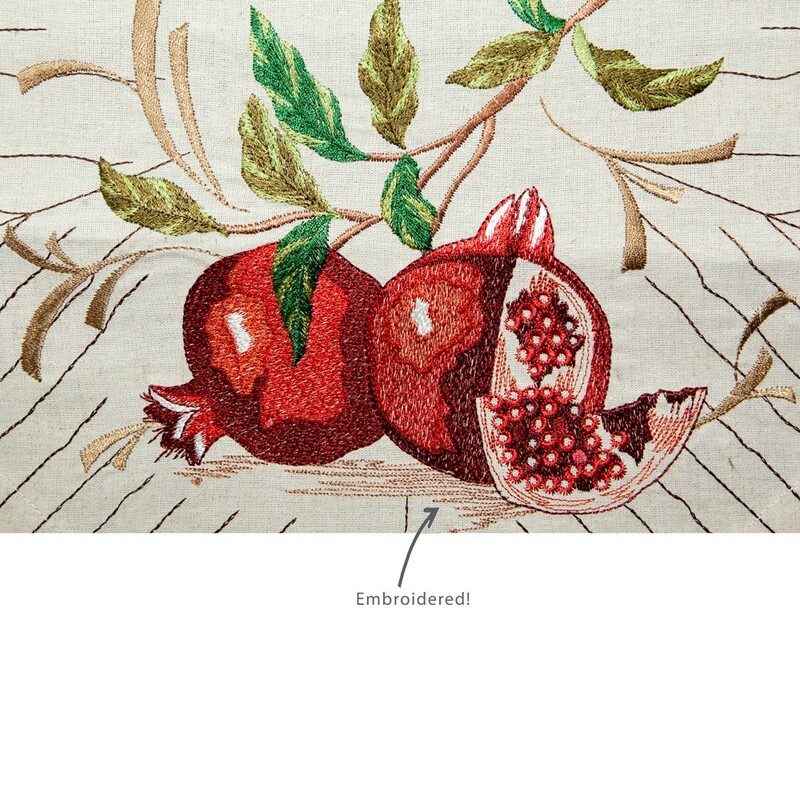 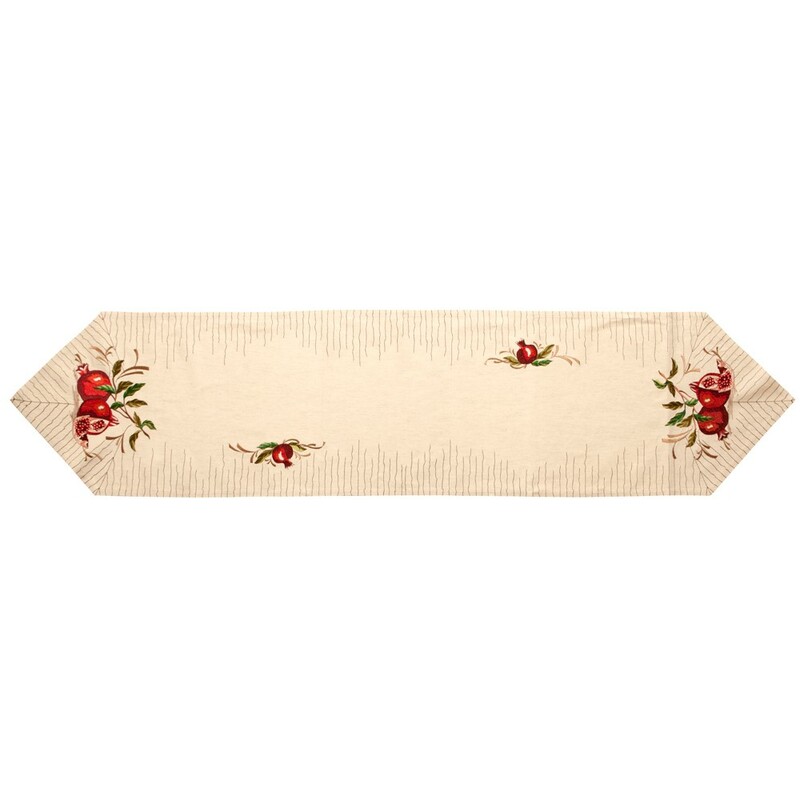 It has an unusual border of vertical lines that perfectly fit with the impressive embroidered pomegranates. 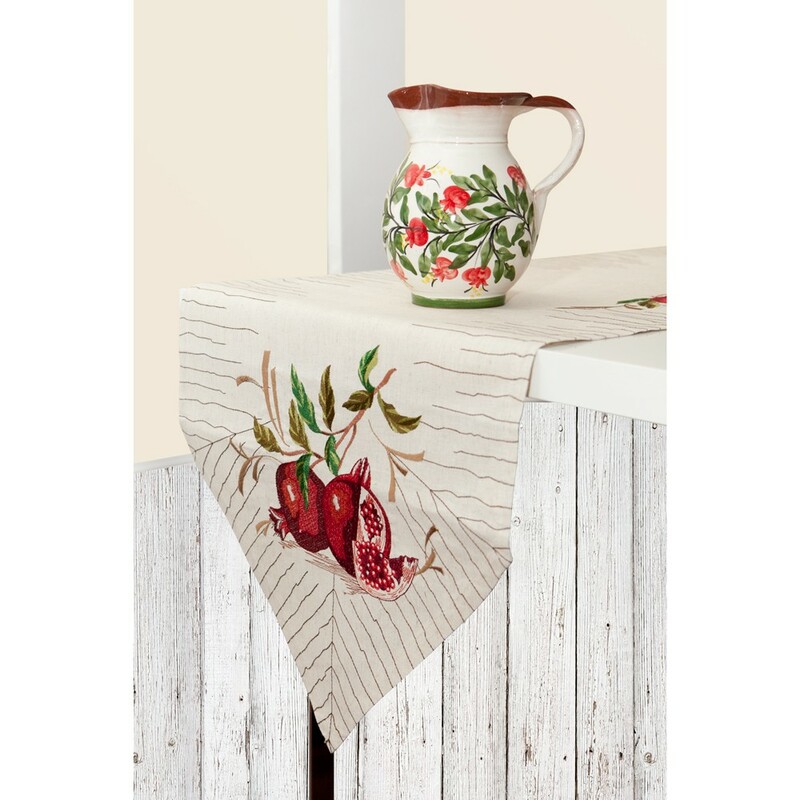 On your dining table while eating it can be the centerpiece of your unforgettable table setting. 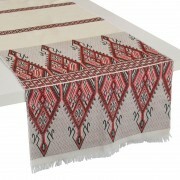 Alternatively it can be used as a decorative piece on your dining table, or your coffee table or your buffet! 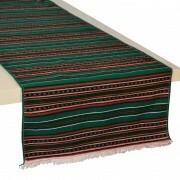 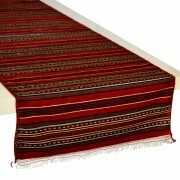 43 x 178 cm | 16.9" x 70.1"
Designed in Greece, Made in E.U.